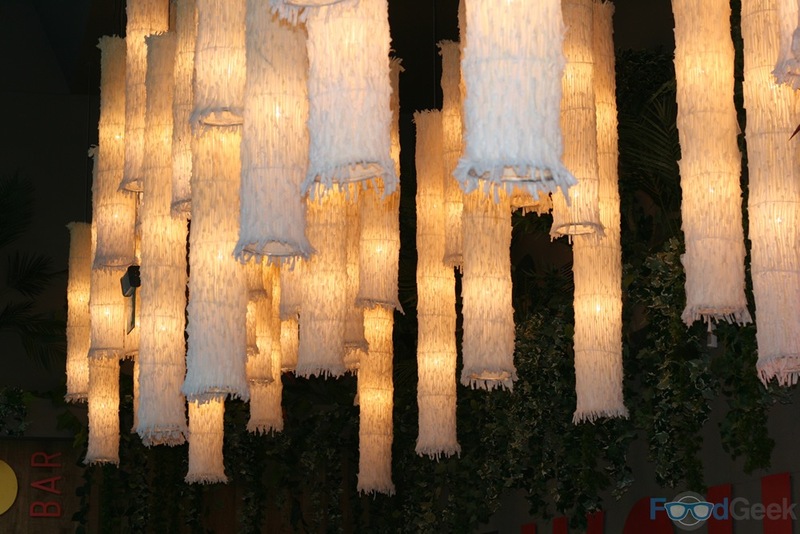 I think of this blog as my journal, a record of my eating out over the last few years. As such (and possibly because of my slight OCD tendencies) I like the posts to be published in chronological order, but sometimes things happen that force me off-piste. Yesterday was one of those days, I’ve reluctantly decided to risk my own anxiety by ignoring a 12 post backlog to write up Wahu less than 24 hours after attending the launch, just to restore some balance. 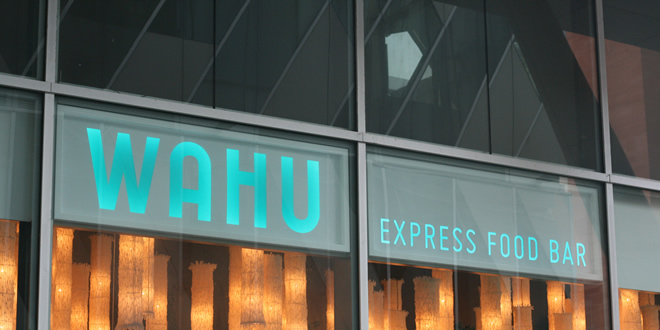 Wahu is the latest addition to the ever growing Spinningfields area, it’s described as an ‘express food bar’ offering ‘fresh food served fast’. Despite positive first impressions I left the launch party last night feeling thoroughly underwhelmed by the food on offer, so you can imagine my surprise when just a few hours later I started to see blog posts raving about how good it was. Admittedly they were from a certain type of blogger, you know the ones whose posts read like a press release and contain more photos of themselves than the actual food. 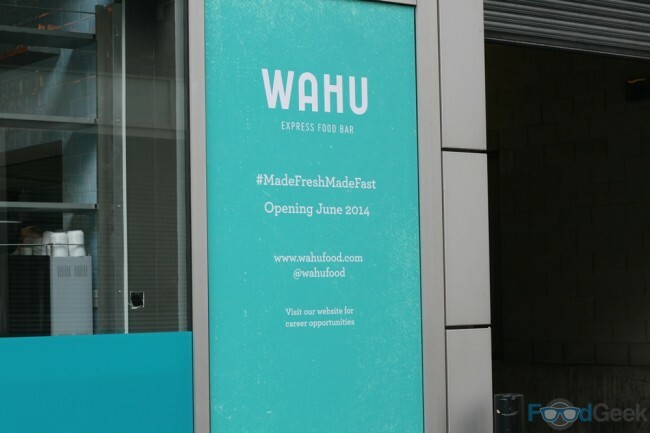 So in the interests of balance here’s what I thought of Wahu. 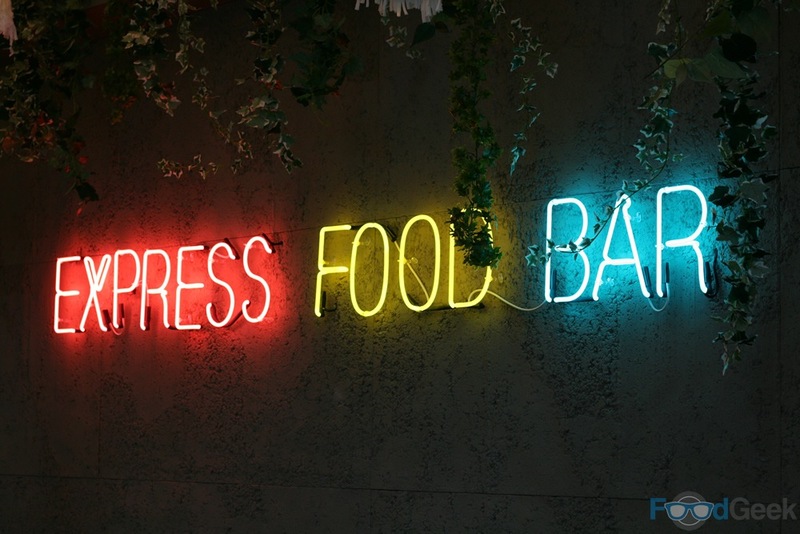 Let’s start with the positives; I genuinely like the idea of a place offering interesting, cheap, fresh, healthy food which is what they promise. 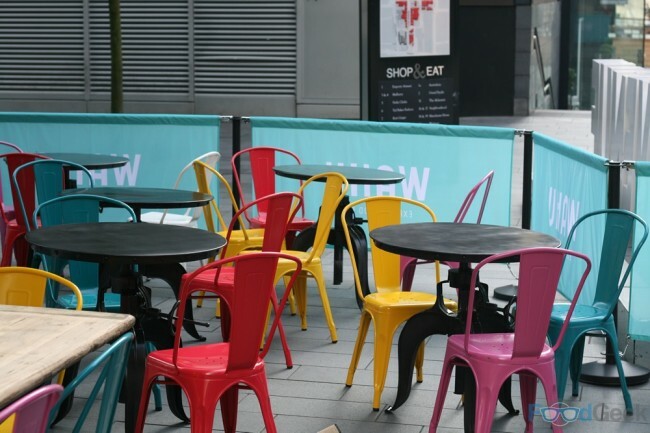 Despite Spinningfields not being my favourite part of Manchester it feels like a good fit and they’ve got a lovely spot on the corner of The Avenue with plenty of outdoor eating space on the terrace, ideal for the gorgeous sunny weather yesterday. Inside looks great too having been designed by the team behind San Carlo; bold, vibrant colours are interspersed with reclaimed wood panelling and leafy shrubs. As always at these launch events the organisers ply us with free alcohol, unfortunately on this occasion it came in the form of Saint, a ‘Premium British Lager’ which claims to be ‘low carb, no sugar’. That may be true but is also has no flavour, at all. 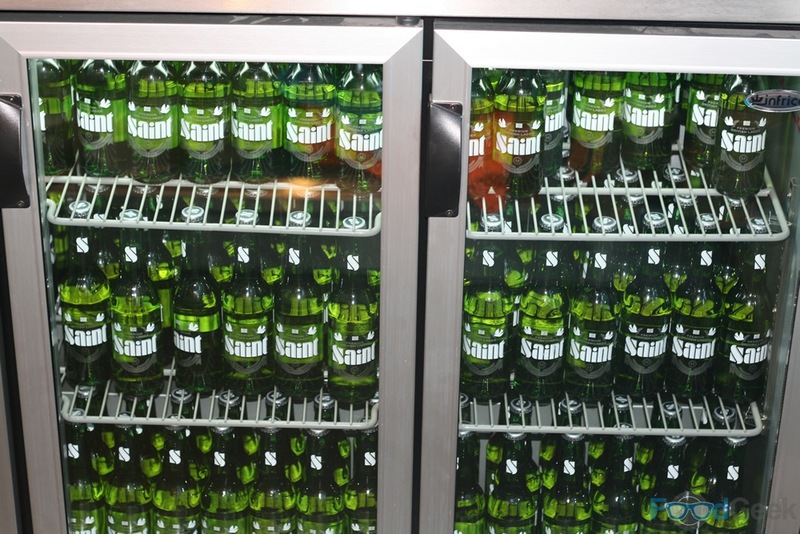 They don’t advertise the calorie count either but I later found out that it still contains 99 calories, only around 30 less than most regular bottled beers. 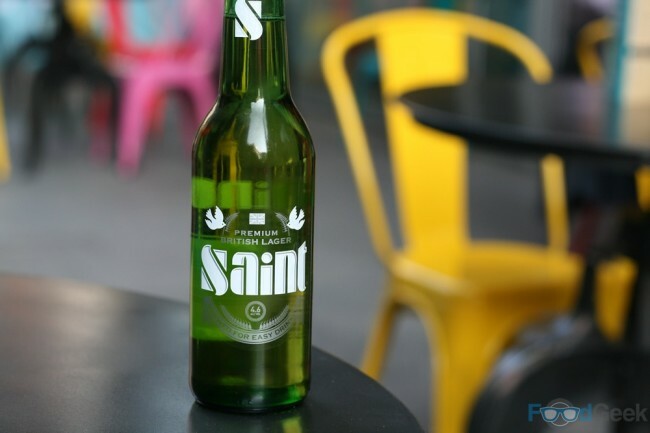 I honestly don’t understand why anybody would choose to drink such a ridiculously bland ‘beer’ to save 30 calories. 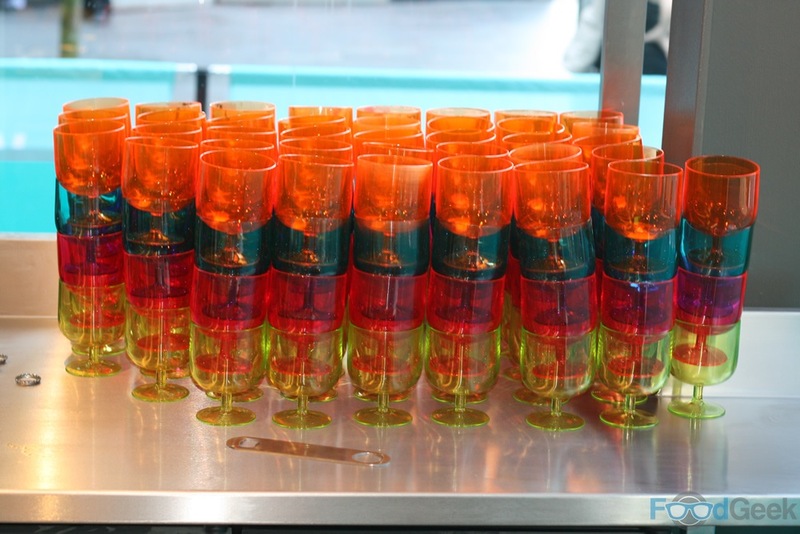 Might as well save them all by drinking water since it pretty much tastes the same. There was also ‘skinny Prosecco’ which to be fair tasted pretty good but again there was no mention of exactly how low the calories were, so i’m assuming not very. 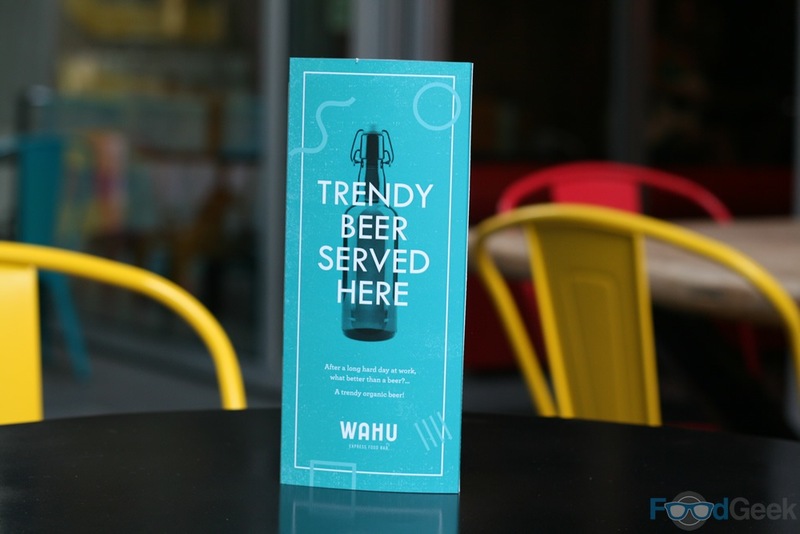 The menu at Wahu reads quite well and I was genuinely looking forward to trying the food. Open from 7am serving breakfast including porridge, granola and egg white omelettes before switching to their regular lunch and dinner offerings. 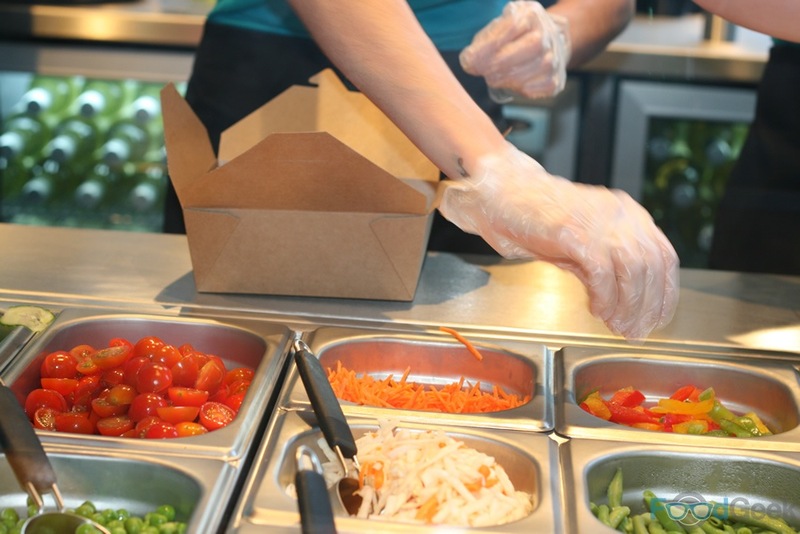 These are served in boxes – presumably to encourage takeaway orders – and start with a ‘base’ of either; rice, salad, pasta or wraps with 5 varieties of each available. Examples include; Mediterranean Lamb Rice Box, Tasmanian Salmon Salad Box, Italian Tomato & Basil Paste Box or Grilled Chicken Wrap’. 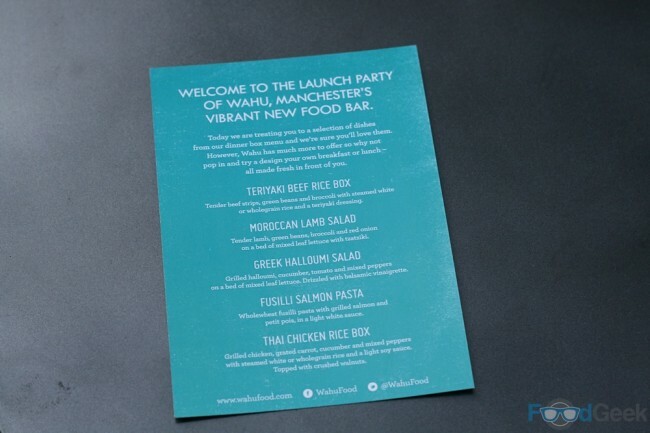 For the launch we chose from a limited menu containing 5 sample boxes. The boxes are made up to order from the various ingredients behind the counter. Whilst I applaud the decision not to prepackage these boxes, the press release makes such a big deal of this but it’s really no different to the likes of Subway & Barburrito. 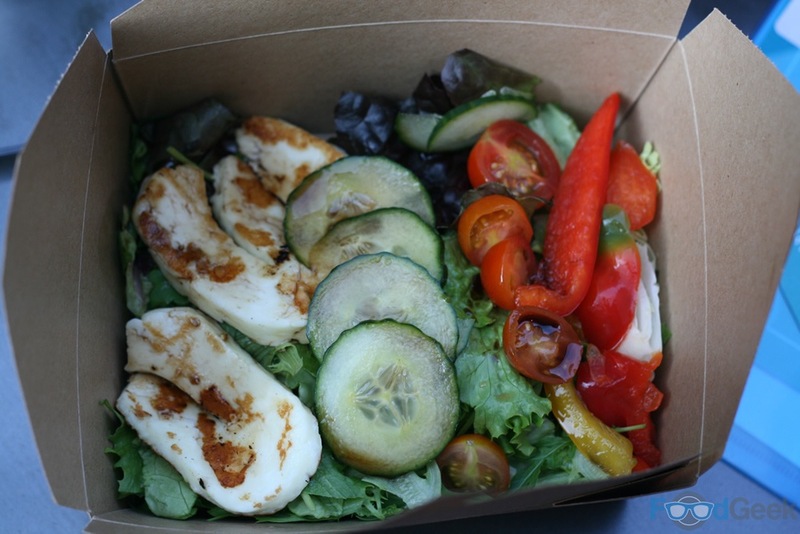 I ordered the ‘Greek Halloumi Salad Box’ which was prepared fairly speedily considering the inexperience of the staff. I was stunned by what I received. Essentially a cardboard box with a bit of halloumi and generic salad ingredients thrown on top of some leaves. The halloumi actually tasted pretty good, though it’s almost impossible for it not to. The salad was so incredibly boring and uninspiring. 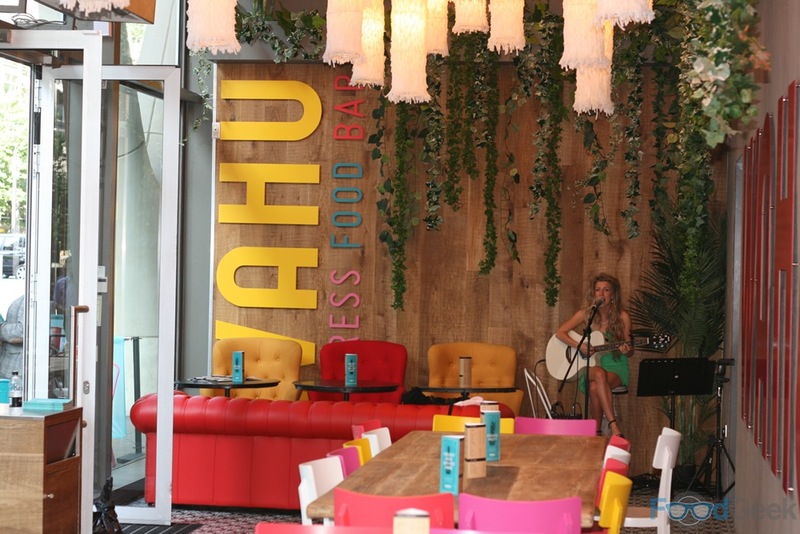 Nothing like the vibrancy you’d expect given the brand image and decor. Mrs FG’s choice of ‘Thai Chicken Rice Box’ was somehow even worse. None of the exciting flavours you might expect from a Thai dish; no chilli, ginger, lemongrass, fish sauce etc.. in fact, no flavour at all! 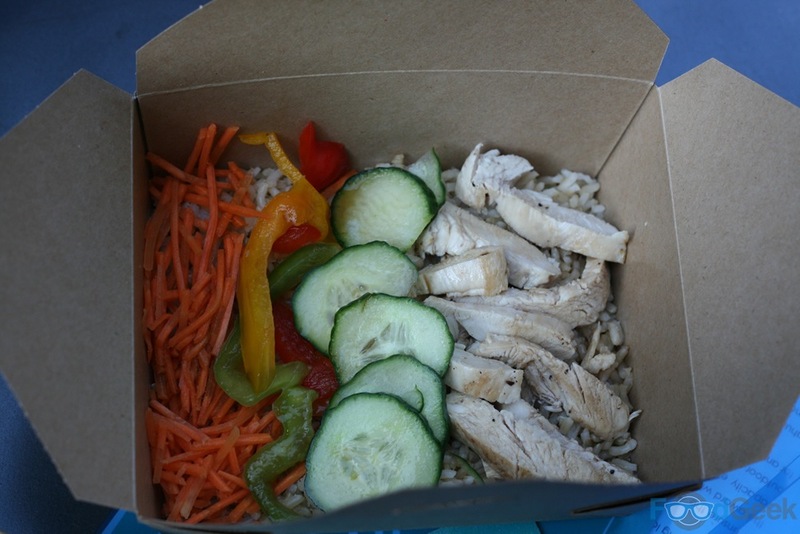 Just a cardboard box with a thin layer of bland, unseasoned rice topped with bland, unseasoned chicken and more dull salad. Finishing it felt like a chore. 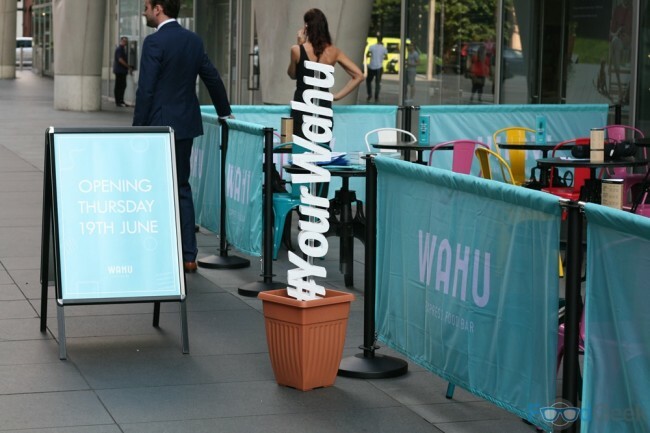 It’s difficult to put into words how disappointed I was with the food from Wahu, it’s not that it’s absolutely terrible but just so incredibly uninspiring. Our Greek Salad Box and Thai Rice Box were priced at £5.95 and £6.95 respectively. Clearly not expensive by city centre standards but not particularly cheap either and I certainly wouldn’t consider it good value for a box of dull ingredients that you could pick up from any market for a couple of quid. 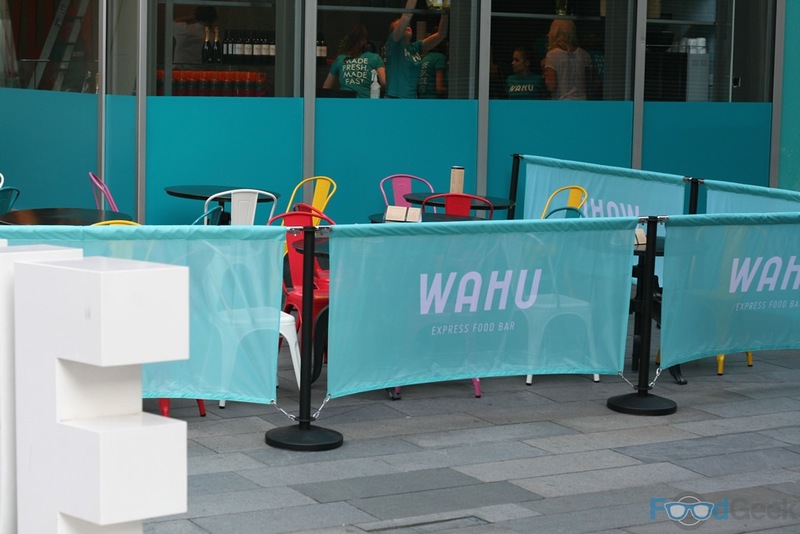 I don’t like knocking new businesses and genuinely believe we need more independent offerings, especially in Spinningfields but it’s impossible to write honestly about Wahu without being negative. It feels like the menu has been designed to appeal to recent health trends with no consideration given at all to how anything looks and tastes. I honestly believe it’s boring food like this that gives ‘healthy eating’ a bad name. There are dishes at places like Yuzu and Veit Shack that are every bit as healthy and just as cheap yet actually taste great too. 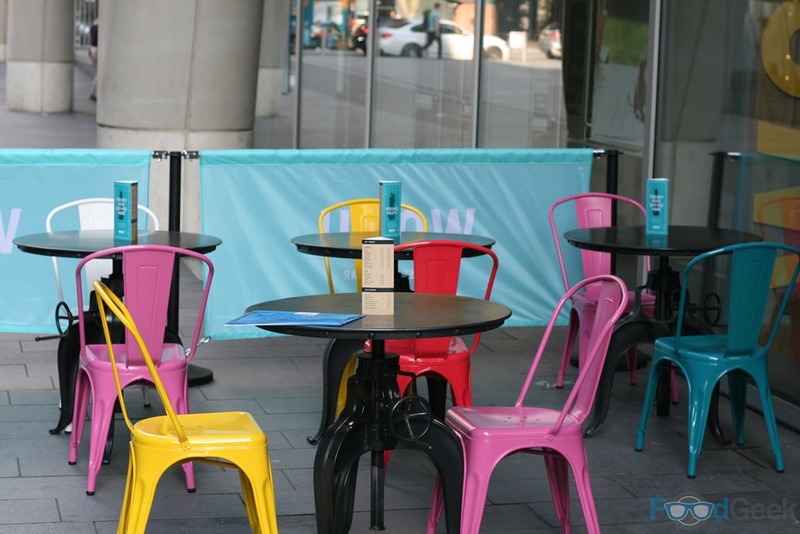 My fear though is that the Spinningfields crowd will lap it up regardless, they’ll happily eat their zero taste ‘healthy’ food whilst drinking bland ‘no carb’ beer and ‘skinny Prosseco’ in the belief that they’re being good to themselves. 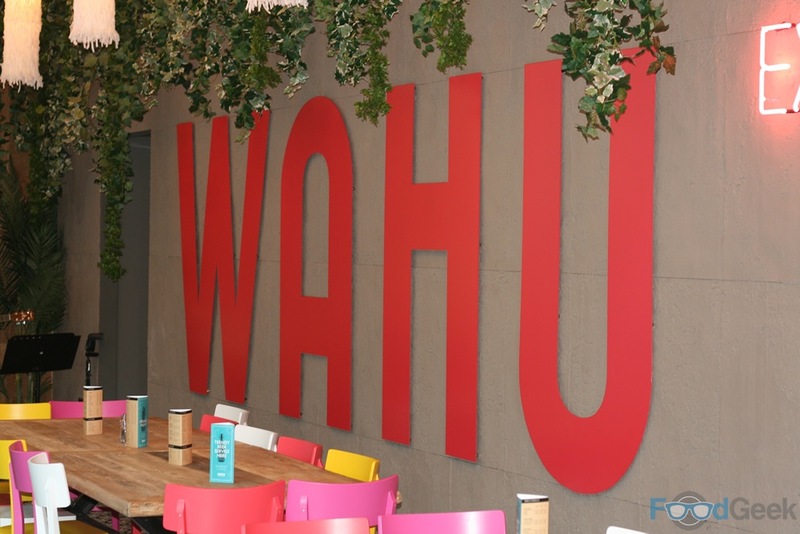 I also found out that the name Wahu is a Hawaiian phrase that means ‘social gathering place’ which only confirms my suspicions. Disclaimer: I was invited to the Wahu launch party and didn’t pay for my food or drink. As ever this has no influence on my honest opinions, as i’m sure you noticed. I can’t believe skinny Prosseco is actually a thing now! Jeez! 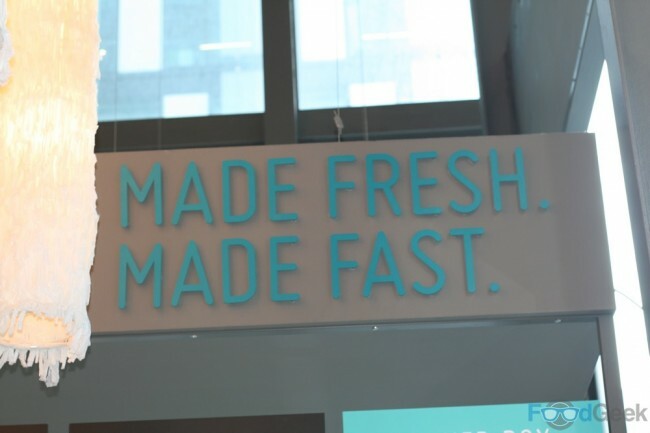 The food does look quite bland to be fair but you are right, it is going to work for people who work in Spinningfields who love their so called ‘health food’! I like the idea but have to agree that food was extremely bland. Ate there yesterday, bought two rice boxes with halloumi, with a bit of sauce from a bottle similar to ones used in Subway squirted over. It did indeed feel like a chore eating this! If you are after a rice box, then can get something much tastier from Rice, and far nicer salad boxes from Eat, Pret, etc. Also, used the same grill for cheese and meat, so not suitable for vegetarians!!!!! Will not be returning. Thanks for an honest review. I live the idea but sadly doesn’t look anywhere near as good as I hoped. 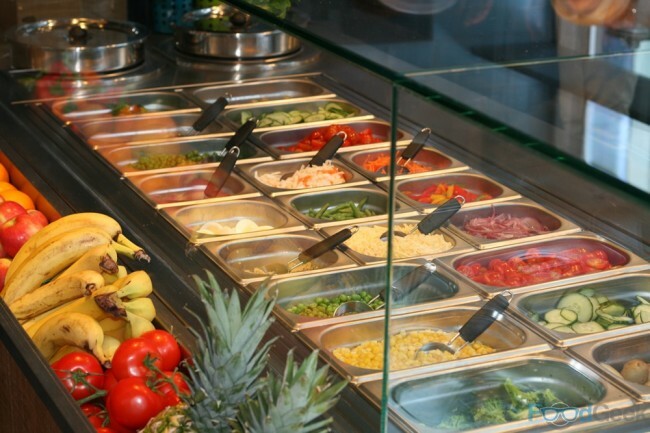 Agree with Caroles comment that salads from Eat and Pret, even Starbucks, look much more exciting than this! Avoid the place. Not very nice at all. WOnt be there this time next year.